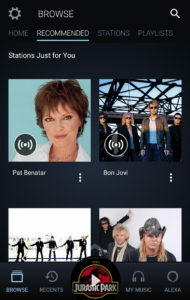 Amazon Music Unlimited is an on-demand, ad free, music streaming subscription service offering you a library of 30 million plus songs for a monthly fee. 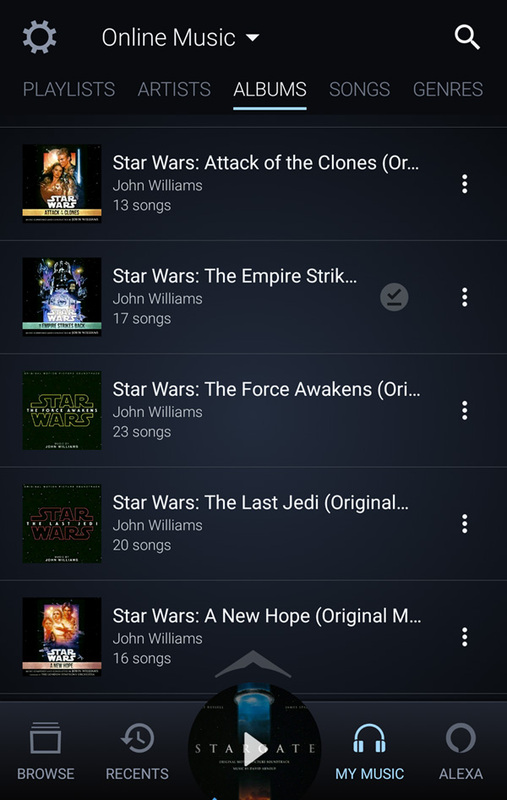 It also serves up a recommendations and hand-picked playlists based on your play history and preferences. 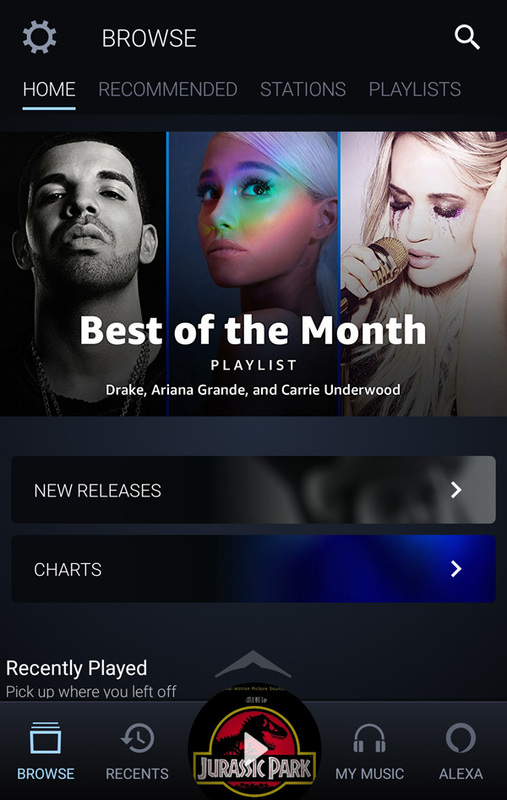 Currently, it’s the 3rd largest music subscription service behind Spotify and Apple Music. You need to have an Amazon account to sign up. You will receive a free 30-day free trial regardless of whether you are a Prime member or not, giving you a chance to try out the service before committing. Prime members can reap the benefits of being in the club by paying annually. For a single subscription, it comes out to be $6.58 per month or $12.41 per month for the Family plan. 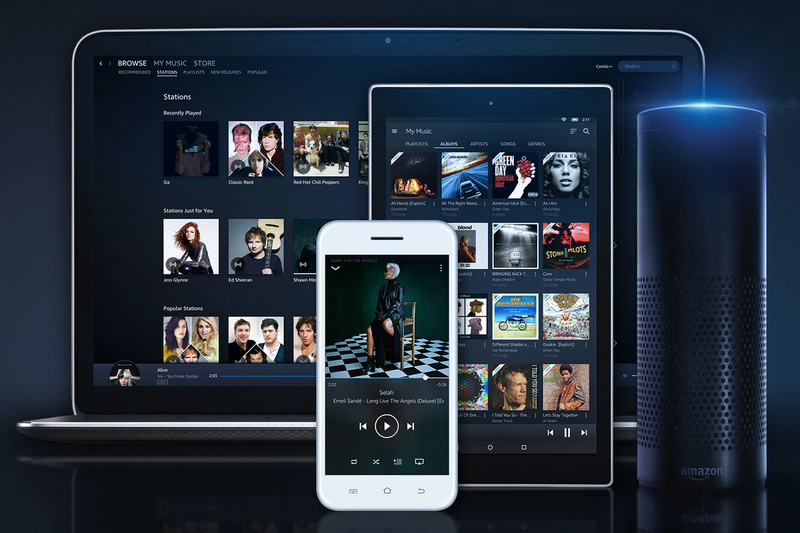 For the Family plan, you are allowed 6 Amazon accounts giving each family member their own personalized music library, playlists, and recommendations. The cheaper Echo plan gives you all the benefits of Amazon Music Unlimited, but only one Echo device. 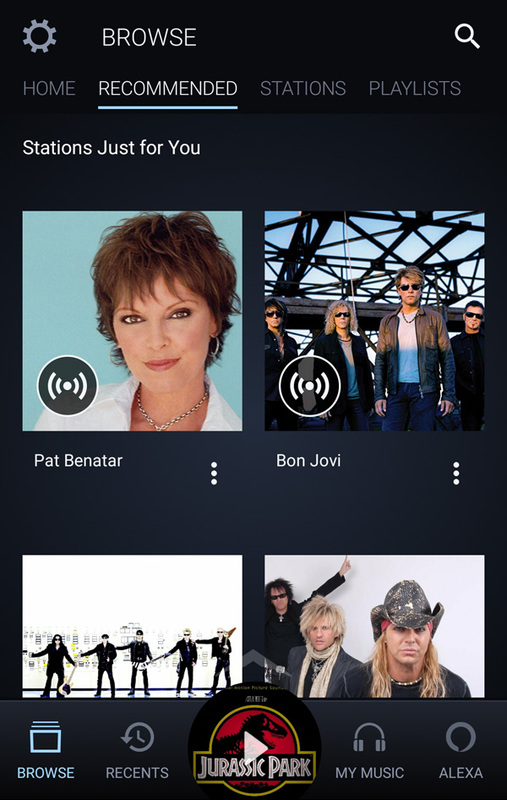 Where can you play Amazon Music? 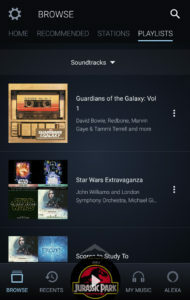 With a regular subscription, you can play Amazon music on any compatible devices, including MAC and PC computers, tablets and mobile phones by installing the Amazon Music app. 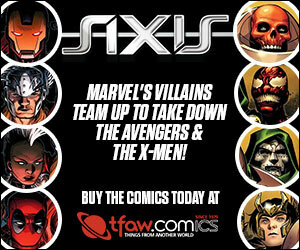 It’s also available on Roku devices and even cars in select models from BMW, Ford, and Mini. 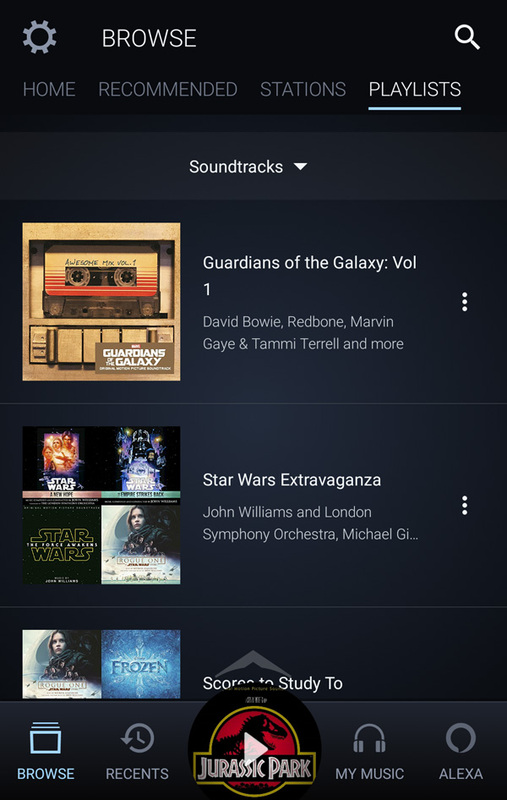 The real beauty of having an Amazon Music Unlimited subscription is that if you’re also an Echo device owner, you can play any song on your Echo devices by just asking Alexa. If you have multiple Echo devices, group them in the Alexa app and it becomes your connected home stereo system with a full music library. 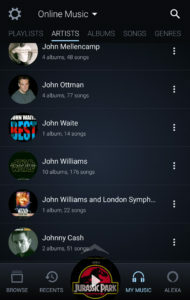 Both the computer, tablet and mobile apps allow you to manage your music. The interface is very similar but easier to search on the computer. However, downloading is not allowed on PCs. 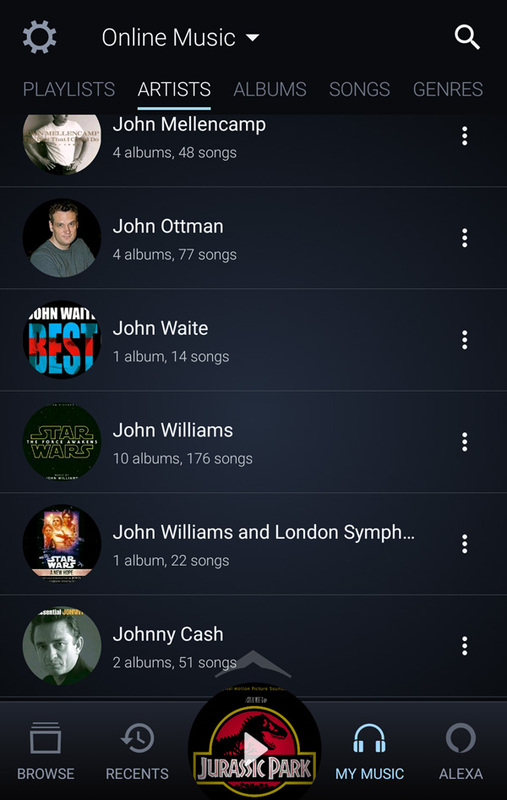 One way you’ll want to utilize the service is to add music to your music library. 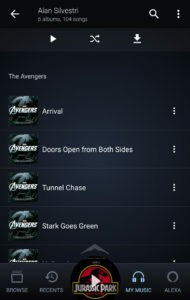 The benefits of adding albums and songs to your library is so that you can easily scroll through your personal library to find what you’d like to play. On mobile devices, when you add to playlist or download it for offline playback, it will automatically add the song or album it to your library. This feature gives you a portable mp3 player when you may not have good wifi access or don’t want to use up your cellphone data. Your mobile phone now becomes your iPod as well. 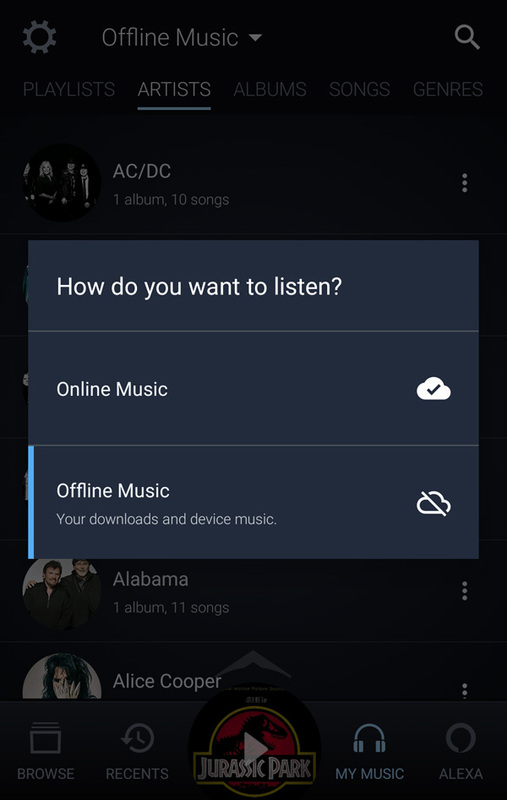 While in the mobile app, you can toggle between Online Music and Offline Music to choose how to view your music. On Android devices where you can upgrade your storage, you can save your music for offline play by saving it to the microSD card. Tap the Settings (gear) icon. Under DOWNLOADING, tap Storage Location and select External SD Card. In Settings, under PLAYBACK, tap Streaming Network Preference, you can select Wi-Fi only to save data. However, if you’re not on wifi, you will not be able to use the Alexa voice assistance option to play songs as that feature requires a data connection. Listen to music to help you fall asleep? The sleep timer is under Settings. Tap on Sleep Timer to set it to 15, 30, 45 or 60 minutes. Those are the only options available. It’s a strange place to put the sleep timer option. We hope Amazon adds a customizable time option in the future. 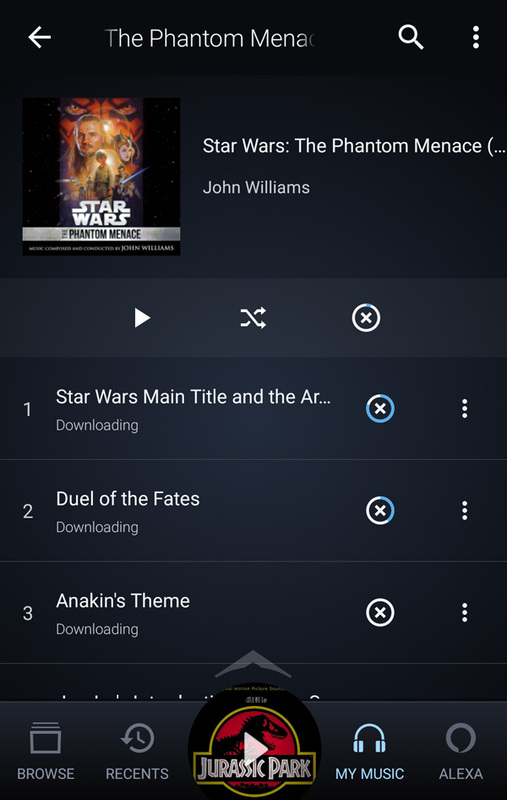 If for some reason your music library is not updating or syncing properly across your devices, you go to Settings, tap on Refresh My Music under My MUSIC. You can also try clearing cache by taping on Clear Cache. To add songs or albums, find the song or album, tap on the 3 dots and select Add to My Music. For individual songs, you can also add it by tapping on the + icon. 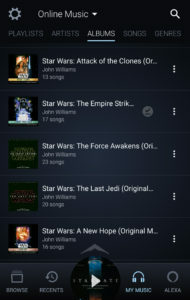 To remove songs, tap on the 3 dots and select Remove from My Music. It’s the same process for removing albums. However, you need to be in the ALBUMS section in order to remove albums. 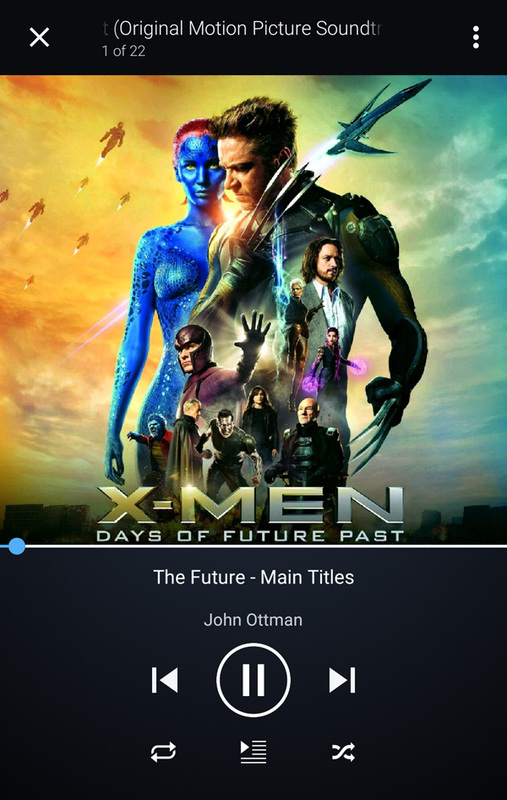 To download songs for offline playback, you can tap on the 3 dots and select Download. 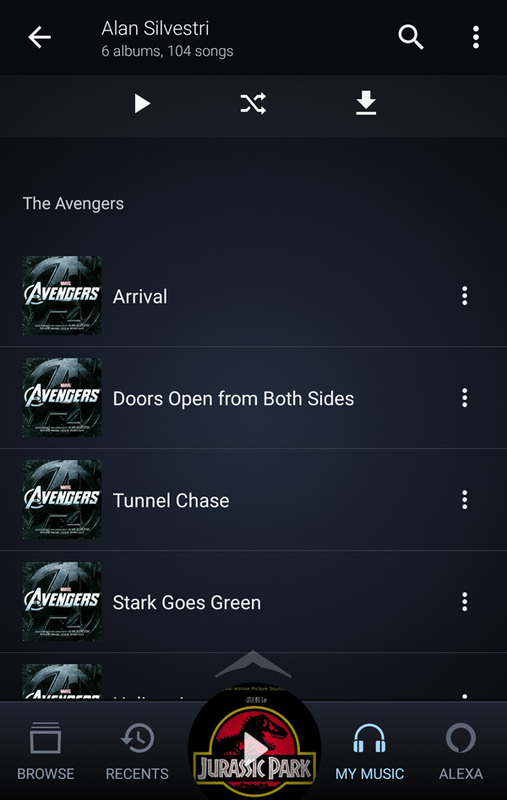 You can do this in the ARTISTS and ALBUMS view or individual songs. 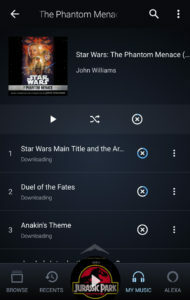 You will see a checkmark next to the song if it’s downloaded already. You will only see a checkmark next to the album or artist if every song has been downloaded for that album or artist. 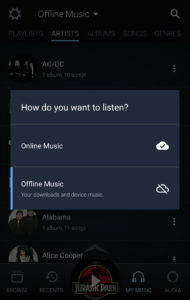 To remove music from your local storage, select the Offline Music option first. Then you can tap on the 3 dots and select Remove from Device. Alexa cast allows you to cast music from your app to any of your Echo devices, allowing you better music control on Amazon’s Alexa-enabled devices. 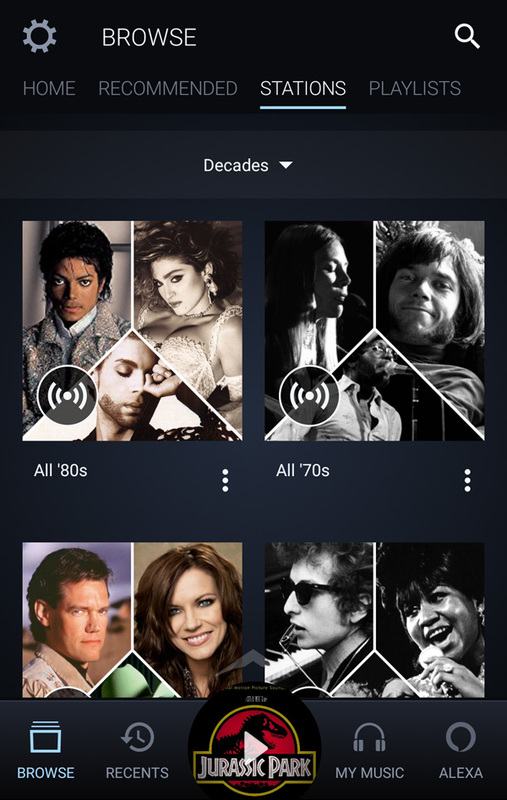 You can tap on the Alexa Cast icon in the app and select the device you want to playback the streaming music.